Excel travel trailers have an outstanding reputation for providing innovations that customers have appreciated for decades. Excel is recognized as one of the premier manufacturers of high quality travel trailers. The Excel name is one that has earned great respect throughout the RV community, partially because of the design innovations that have separated Excel from many of the other companies that manufacture travel trailers. Though many competitors have tried to emulate Excel designs, the company is in a league of its own. The company has attracted many satisfied and loyal customers who consider Excel to be among the finest travel trailers on the road today. In 1988, Excel introduced its top of the line fifth wheel trailer, and the Knoble Esquire travel trailer. Slide out rooms arrived in 1991, and quickly swept across the entire industry. The company manufactures its own doors and frames in state of the art manufacturing facilities. In 1995 the company was highly rated by the nonprofit watchdog group RV Consumer Group, who stated that Excel was one of the top 10 percent of travel trailer manufacturers, as it relates to durability and value. Excel is the only fifth wheel travel trailer to have won a five-star rating from RV Consumer Digest. RV values are central to the Excel design philosophy. The rugged Excel RT is designed for durability. This model is designed to meet the needs of consumers who want a travel trailer that can be taken off the highway, off the beaten path, and into nature. The sturdy frame and reliable suspension system enables the RT to be able to be pulled over rough roads that most other travel trailers cannot use. The RT is ideal for those who want to bring the travel trailer into more remote camping areas where travel trailers usually do not enter. The sleek Excel Classic is designed to offer all the basic luxuries and reliability of the Excel Limited, at a lower price. Many of the standard features of the Excel Limited are optional on the Excel Classic. Excel has built up its reputation with innovations and features that seem simple and obvious today, yet no other company could think of them. Excel travel trailers have won numerous awards for quality and customer satisfaction, and continue to impress consumers. 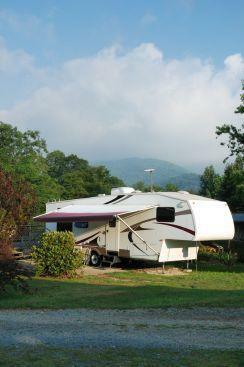 Would you like more information about travel trailers? The following articles are filled with interesting information.